We're calling out anyone who is interested in discussing how the east coast can grow as a scene. We all enjoy fighting games here and we'd like to see things evolve and grow as a whole or at the very least not step on each other's toes. If you're a tournament organizer, event planner, player, journalist, or just have realistic ideas on what could be done on the east coast please come out for the talk. If all the talk bores you just come enjoy some matches. 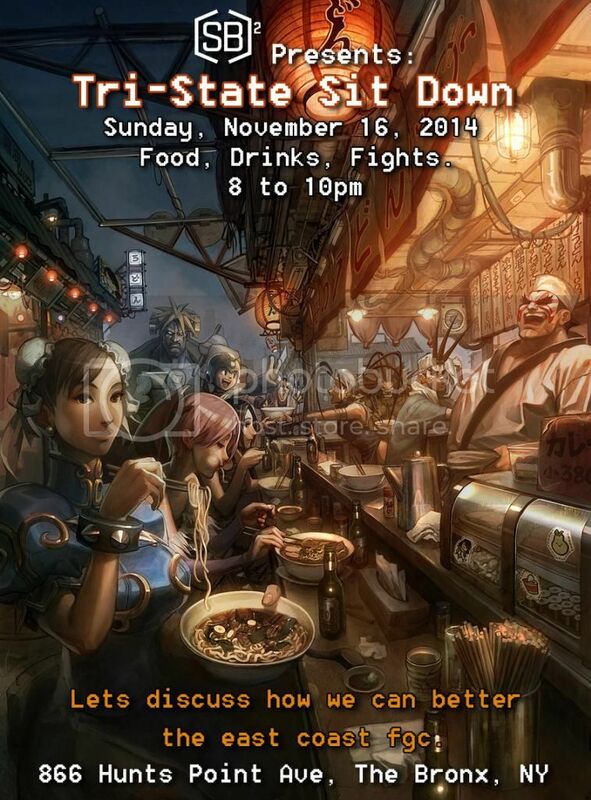 KPB, Team Impulse, and various others will be here to have casuals all night.